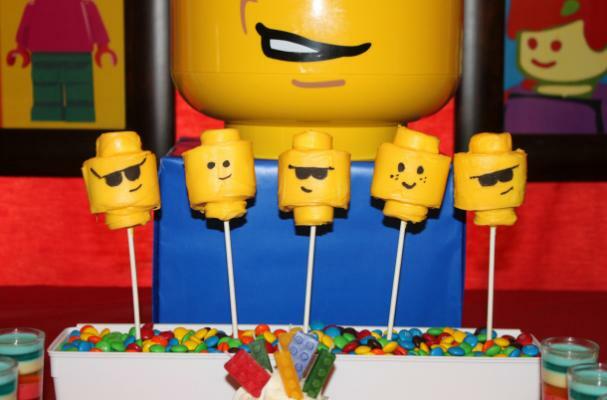 These cute Lego marshmallow pops from My Life as I Pin It is the perfect treat to pair with the newly released Lego movie. Small and jumbo marshmallows are skewered onto a stick and then dipped into yellow candy melts. An edible marker is used to draw on a variety of faces. This easy treat is a fun pre-movie snack. For full recipe instructions, click here.